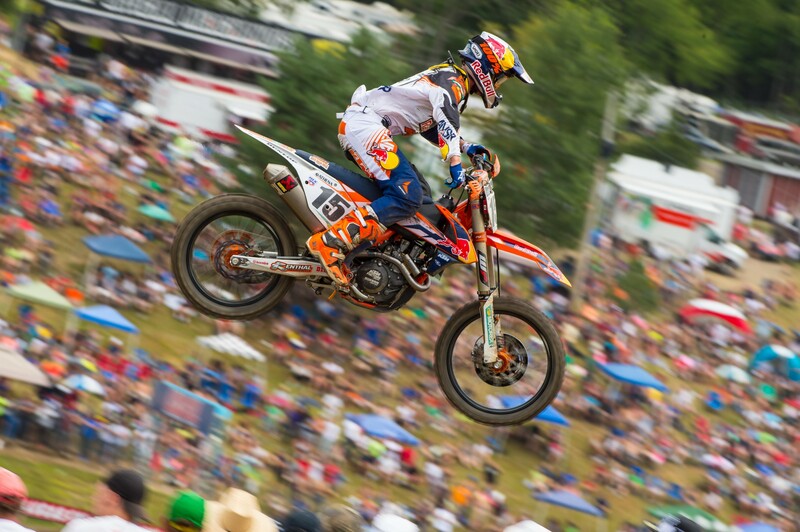 Red Bull KTM’s Ryan Dungey was again in a class of his own at Round 10 of the US Pro MX at the Unadilla Raceway, New York State, to sweep both 450-class motos for his third consecutive overall victory and his fifth for the current season. Teammate Marvin Musquin made a good recovery from a crash in his opening 250-class moto to finish with a 4-1 result for overall second. With the win, Dungey further consolidates his impressive lead in the points while Musquin narrowed the points lead of rival Jeremy Martin to a slender two points with two rounds to go and plenty more points up for grabs. 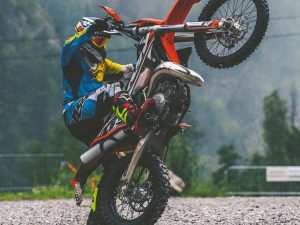 The Red Bull KTM Factory Racing Team also welcomed back Dean Wilson who returned to the competition after a long injury break and still managed to finish overall sixth. It was also a great day out at Unadilla for Scottish rider Shaun Simpson, who took overall fourth in the 450s in his first ever ride in the US, straight on the back of an overall victory on the difficult track at Lommel in Belgium last weekend. Dungey’s perfect score started well when he was second out of the gate in his opening race then quickly advanced into the lead. He then led all the way to the flag to set up a perfect scenario for another overall win. Wilson meanwhile got off to an eighth place and did advance to seventh but faded to eleventh at the flag, admitting that his lack of race practice started to tell. In the second moto, Dungey got another great start and completely dominated the race to move into a 69-point lead in the title chase with two more rounds still to be completed. Wilson finished the second moto with a better score and this time was tenth at the moto’s end. Simpson said it had been a great experience to race in the US. “I wished I could have made the podium but fourth was more than I expected,” he commented. It was his first time out on the KTM 450 SX-F Factory bike and he and his father, who acts as mechanic were both impressed. The team also said they were positively surprised that Shaun delivered such a strong ride on his first ever race in the USA. 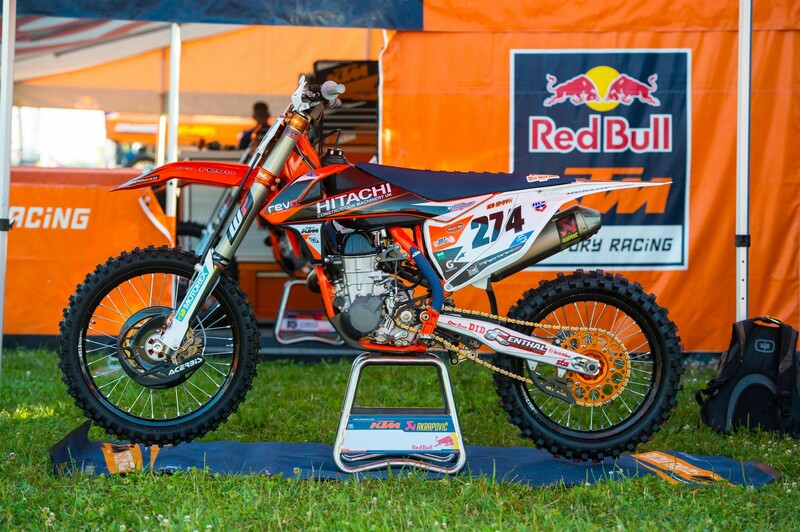 Musquin, the team’s French rider also was fast out of the gate in his first 250 moto to be third at the first corner while his Factory teammate Justin Hill was further back at thirteenth. But before the end of the first lap, Musquin made a mistake, tipped over and dropped back to eighth place. By the fourth lap he had already climbed back to fourth while Hill was in thirteenth. Musquin had to shake out his goggles in the seventh lap to get rid of the accumulated dirt from the first lap crash, but did not lose any positions. He then hung onto fourth right to the flag while Hill finished fourteenth. In the second moto, Musquin got off to another decent start and was fifth around the first turn. Hill meanwhile was back in eighteenth. 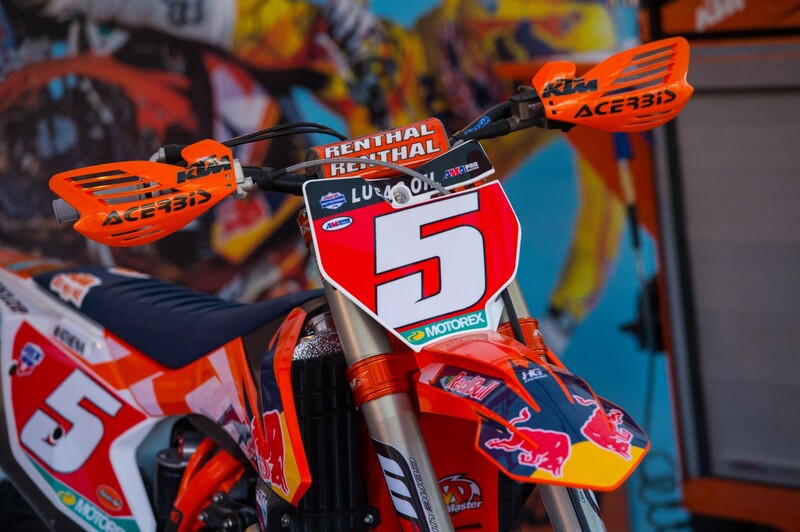 By Lap 5 Musquin moved into fourth and one lap later advanced to third when a lead rider went down. Two laps after that he made another critical pass to move into second and finally took the lead in Lap 10. He carried the advantage right to the flag to round of his race day with a 4-1 moto score, and in doing so cut the gap to leader Jeremy Martin to a slender two points with two rounds still to go. 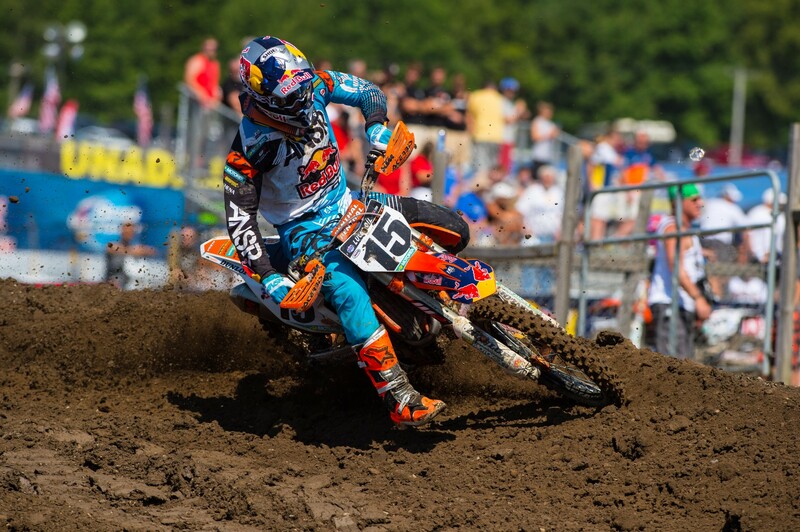 “I am really excited I was able to close the gap this weekend,” stated Musquin. 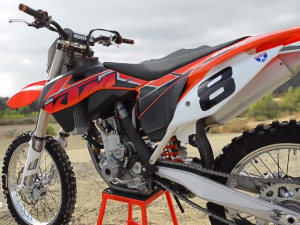 “It is exciting for the fans and exciting for us to take this championship to the final rounds.” Musician and Hill ride the KTM 250 SX-F Factory bike. Call my daughter Arianna, she is in college getting a Bs in photography. She loves Motocross as do I. I use to run a Ktm shop I won an award for selling the most KTM cycles in 2000? Ask Dam Salamone ? Anyways I would love it if you had my daughter intern for or work in the motocross industry. Btw she has much talent , which surprised me to be honest. When I won that award we were brought to Jack Frost in Pa n auditioned the new bikes while riding with team KTM. TO BE HONEST I FORGET what year it was. 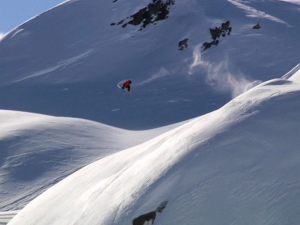 But Kenny Barstrom on team. Do a brother a favor please. I am stuck in bed with a broken back for last two years. Can’t find a doctor to fix me.